Hello, it’s me again! This time I’m on time, but only just barely! I’ll be bringing you some of this week’s fabulous pony merchandise after the break! Are you excited? I’m excited. He also comes with Derpy and Dinky sculptures! Dinky can chill on Derpy’s back, or they can be separated. Now if that doesn’t convince you that this is awesome, I don’t know what will. I love Rarity, you guys. I also love Chucks, and if I ever actually wore Chucks, I wouldn’t be able to feature these because they would be on my feet. But I don’t wear Chucks, so I leave it up to one of you guys to put these on your feet. They’re $85, and made to order, so you can choose your shoe size! And for those who prefer their ponywear more subtle and manly, chain mail pony-inspired bracelets for $12! 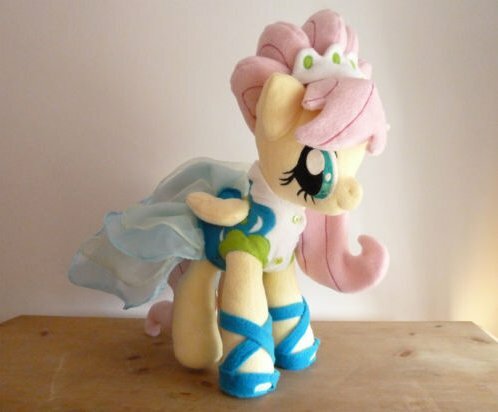 Featured here is Derpy Hooves (of course), but the mane six and spike are also for sale! And of course, some adorable amigurumi! It’s going to take me a million of these articles to get through all the fabulous amigurumi ponies out there. Featured here is Princess Luna (season one) for $50, but the seller also has the mane 6 and various other ponies up for $30-$55! And to finish things off this week, one more Fluttershy! This one is made from minky fabric and sings her part of Hush Now, Quiet Now (totally appropriate for a snuggly plushie, if you ask me). Currently at $65 on ebay, with 4 days left on bidding! And that wraps up this week’s Derpy’s Skymall! I’ll be back next week, hopefully even more on time, and with even more great fan merchanise. See you then! 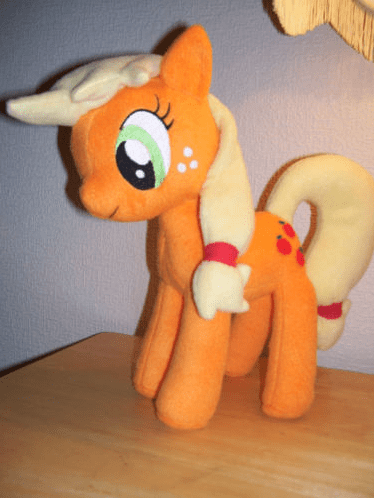 If you want to submit some fabulous fanmade… merchandise (curses, I’m terrible at alliteration) you can email me at Folly@Derpyhooves.co, or just hit that big ol’ submit link! 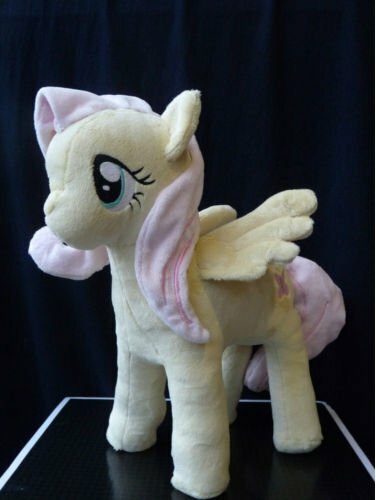 Pinkie Pie is made from ultra cuddle fleece and stuffed with poly-fill and is all new materials. She is seven inches tall and her body is eight inches long, 14 inches with tail. She was made in a smoke-free environment and not intended for small children. This is a fan work and has no affiliation with Habsro.